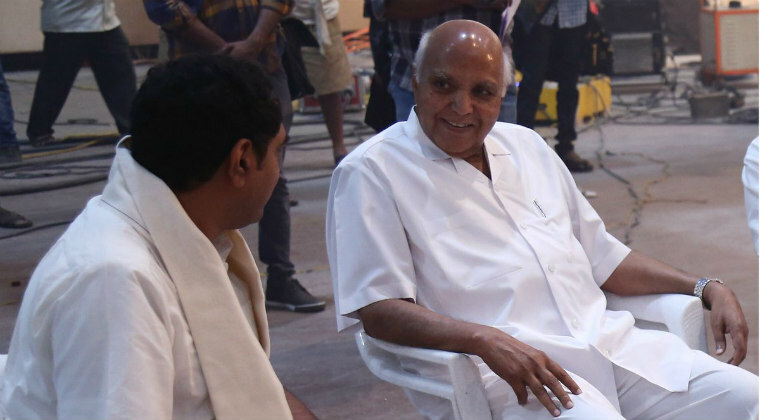 Legendary filmmaker Ramoji Rao had visited the sets of NTR the other day. Getting to know about the shooting happening in Ramoji Film City, Ramoji reached the location. He met director Krish and other crew members and also spoke to them. Ramoji spent nearly 30 mins and did find out about the shooting and specially assembled sets. Director Krish is delighted to have Ramoji on the sets and both had a brief chat as well on the occasion. NTR biopic stars Balakrishna and Vidya Balan in the lead roles. Naresh, Murali Sharma will be seen in supporting roles.